Microsoft Ghana collaborates with World Vision Ghana to run TizaaWorks, it’s employability platform after IICD it’s founding implementing partner ceased operations. 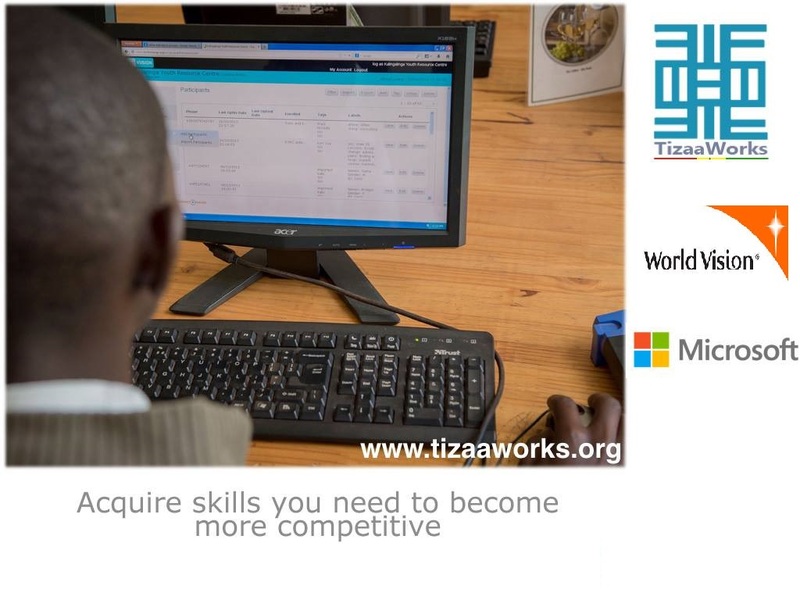 TizaaWorks online platform is a Microsoft YouthSpark and Microsoft 4Afrika Initiative introduced by Microsoft Ghana. hard and soft skills to bridge the skills gap and secure first-time job opportunities, in addition to providing career guidance and resources for those wanting to build their own businesses. IICD founding partners of TizaaWorks ceased it operations on 31st December 2015 after 20 years of operation. Our gratitude goes out to our staff, global network of ICT4D professionals, and local and international partners who throughout the years trusted and supported our work to enable people in developing contexts to become drivers of positive social change. “At IICD, we are confident that under the new leadership of the World Vision team, TizaaWorks will continue to make a difference for youth on their pathway to fulfilling their employment and entrepreneurship endeavors. We wish the best of luck to the new implementing partner, and to the youth in Ghana – many meaningful opportunities for professional development. “Having operated in Ghana for 10 years, one of our main objectives has been to invest in the country’s education and youth. With the help of partners like IICD, we have been successful in launching TizaaWorks to improve youth employability and we look forward to reaching even more youth through our new partner World Vision, who have been driving similar projects on the continent. World Vision Ghana collaborates with Microsoft to equip 20,000 disadvantaged youth from rural communities countrywide, with employable skills to prepare them for the job market. “With our development interventions already benefitting over four million children and their families, our hope is that this partnership will deepen our objective to ensure rural youth acquire relevant employability and entrepreneurial skills. TizaaWorks offers access to free courses to develop the youth’s professional skills, aggregates the best, ensuring access to rich content and exposing them to the various learning and training organisations that can help them realize their career aspirations. * Find a job – job matching tool Entrepreneurs – Start-up training, funding tools, social entrepreneurship and freelance opportunities.